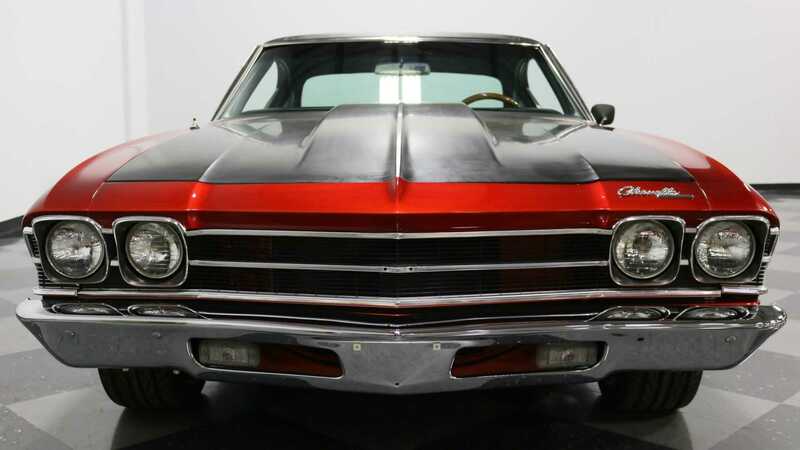 With the desired powertrain combination of a 454 cubic-inch Big-Block V8 and a five-speed manual transmission, this '69 Chevelle will have no problem finding a new home quickly. 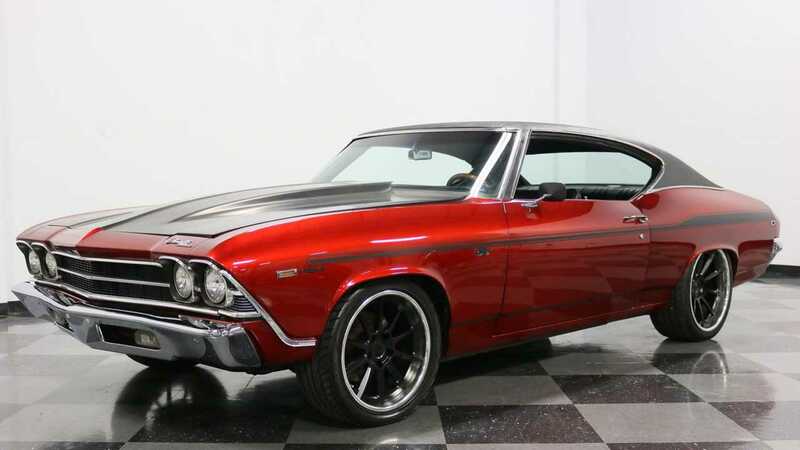 The second-generation A-body Chevelle was introduced by Chevrolet as a '68 model. 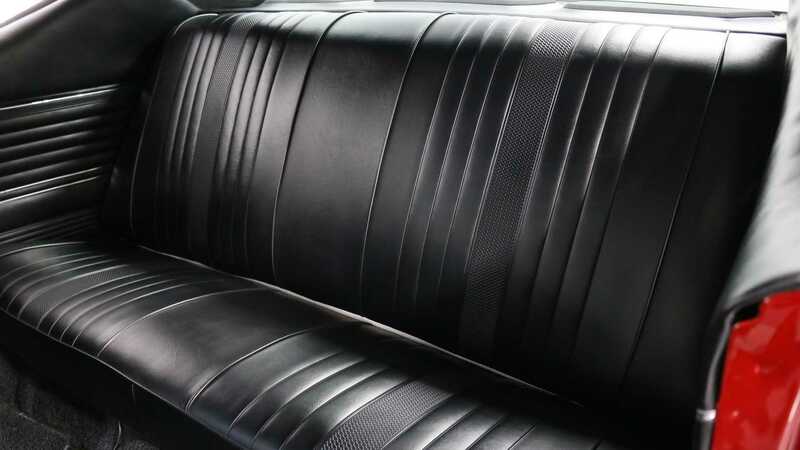 During its four-year production run, the Chevelle became available as a two-door coupe, sedan, convertible, coupe utility, a four-door sedan, hardtop, and a station wagon. 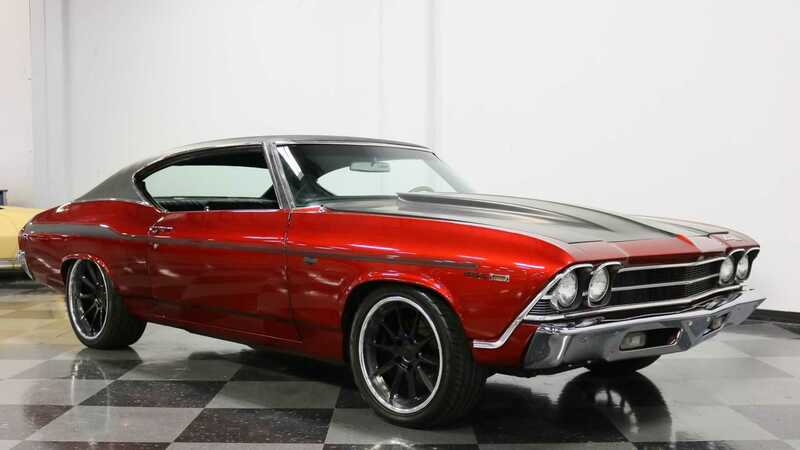 Engine options in the Chevelle ranged from the base 230 cubic-inch, 3.8-liter Chevrolet inline-six with 140-horsepower to the top-of-the-range LS6 optioned 454 cubic-inch, 7.4-liter Big-Block V8 with 450-hp. 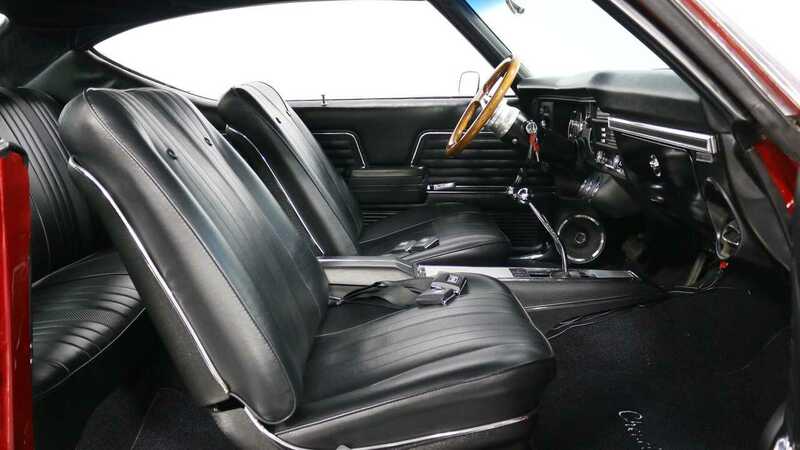 Based on the engine choice selected, the Chevelle came equipped with either a three or four-speed manual and a two and three-speed automatic transmission. 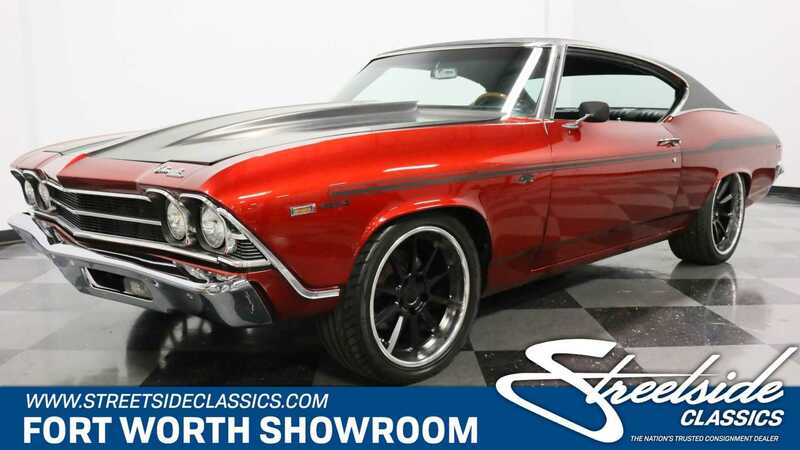 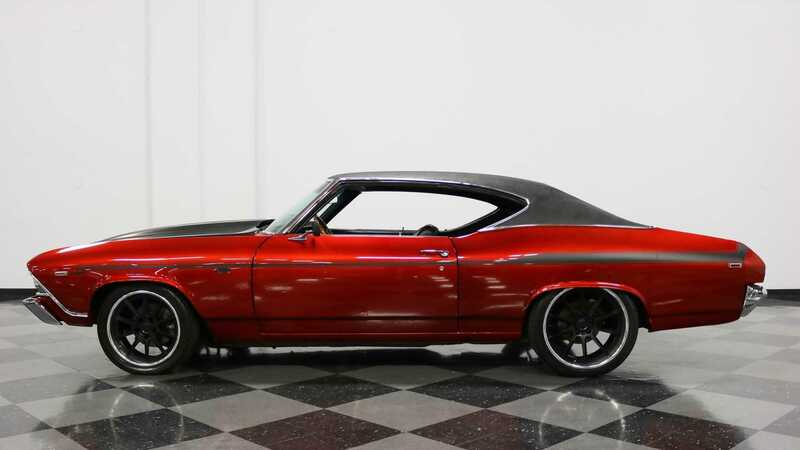 This particular 1969 Chevrolet Chevelle 454 currently for sale at Streetside Classics in Fort Worth, Texas is a tastefully built restomod muscle car. 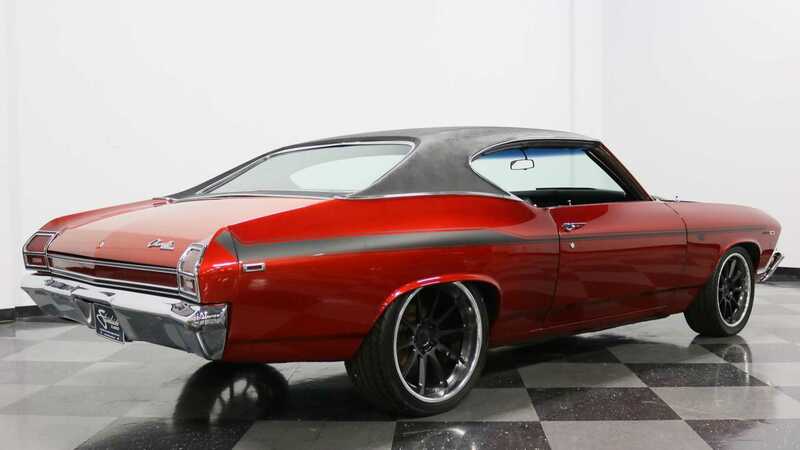 This '69 Chevelle is powered by a 454 cubic-inch, 7.4-liter Big-Block V8 with a Turbo Jet Air Filter and produces a healthy 460-hp. 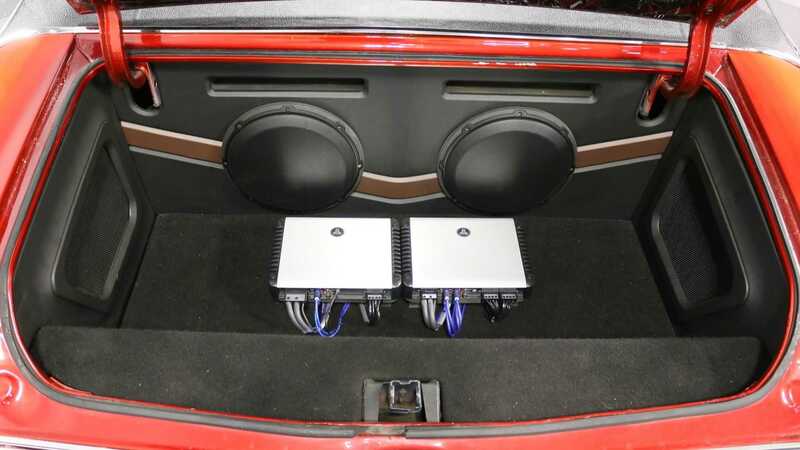 The engine is bolted to a modern five-speed manual transmission and sends power to the rear wheels. 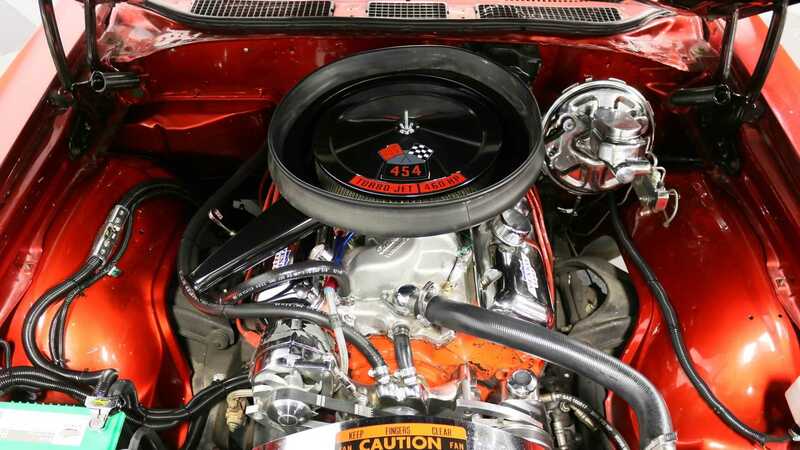 The Edelbrock intake and four-barrel carburetor ensure that the engine always performs at its optimum level. 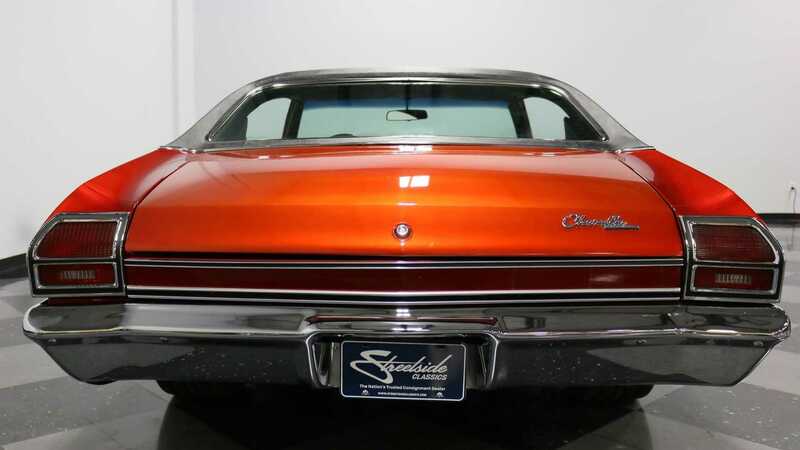 Long-tube headers from the engine feed a throaty dual exhaust system with Flowmaster mufflers which turn downwards just ahead of the rear axle. 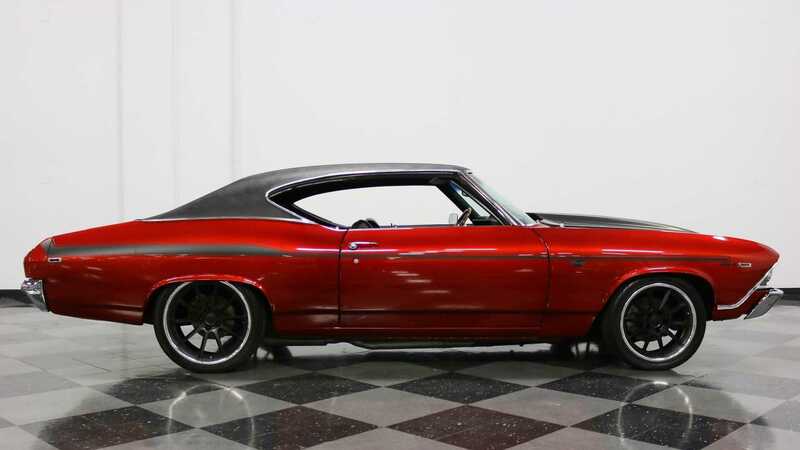 This mighty muscle car comes to a stop in a safe distance thanks to power four-wheel disc brakes. 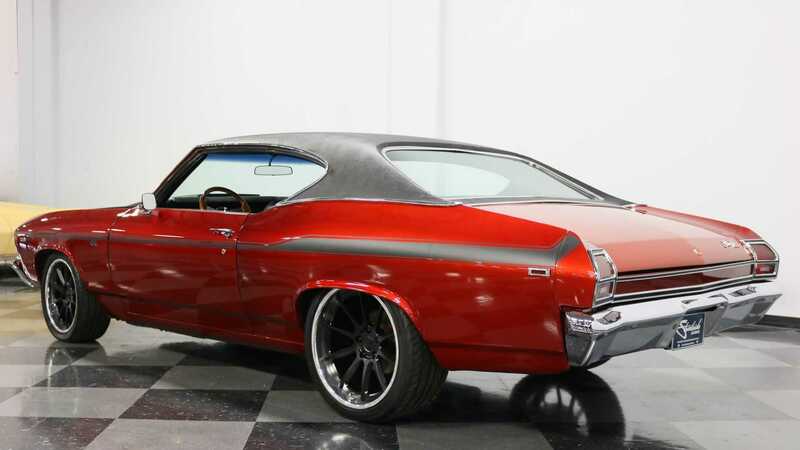 This Chevelle rides on a set of black Forgeline wheels which are wrapped with 245/40/18 Yokohama radials up front and 275/35/20 Yokohama radials at the rear. Inside, this '69 Chevelle is fitted with black bucket seats and rear bench seat which are not OEM but do have the old-school vibe and are upholstered in GM-style vinyl upholstery which looks to be barely touched. 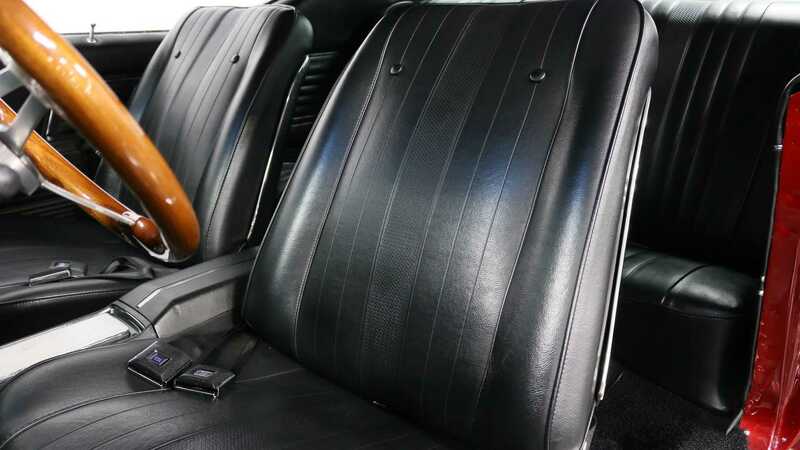 The door panels along with a set of black carpets are all new and dress up the cabin very well. 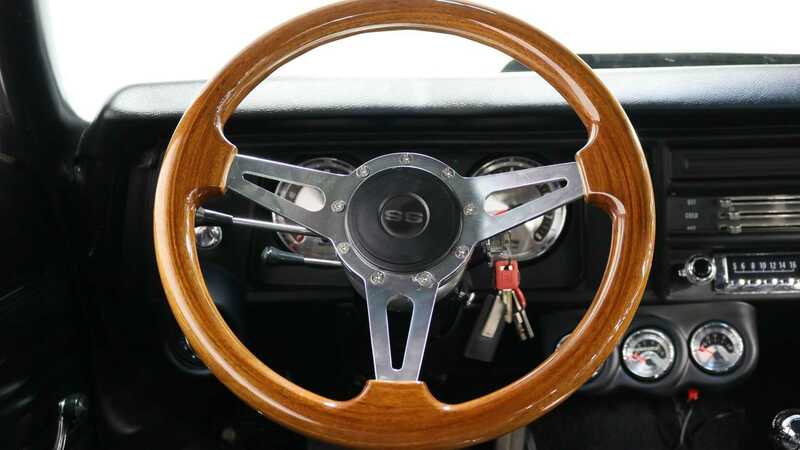 The wood-rim SS steering wheel sits on top of an aftermarket tilting steering column and comes equipped with power steering. 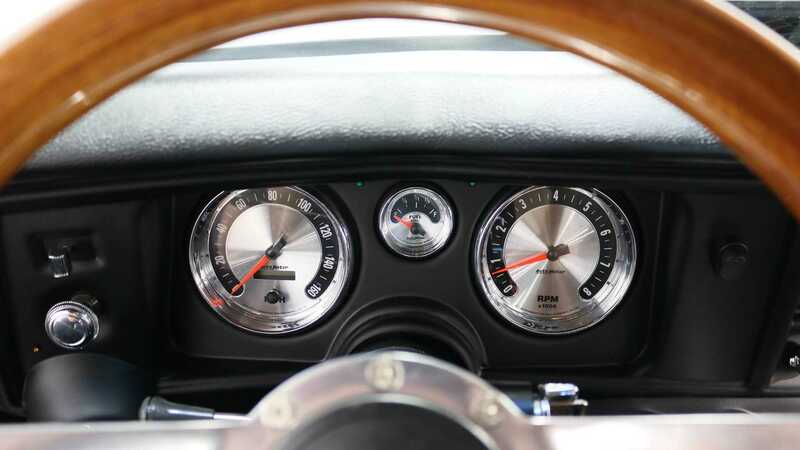 The gauges consist of brand-new digital Auto Meter speedometer, tach, and fuel level indicator. 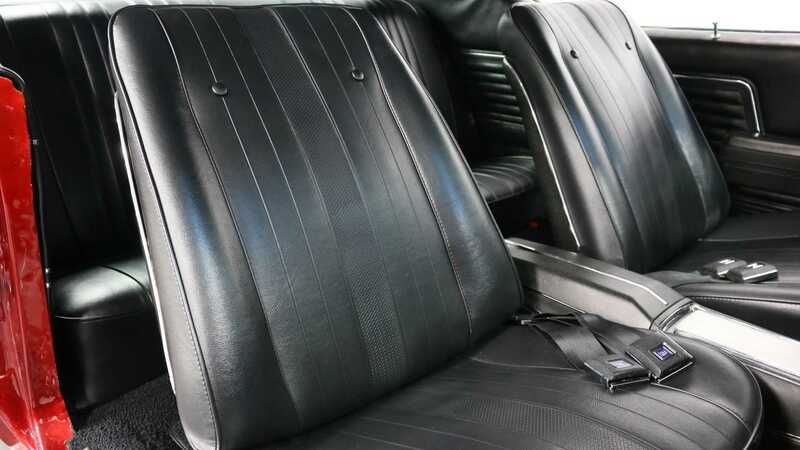 The dashboard has been upgraded to give it a more modern look with new bezels, trim, vents, and a plush pad at the top. 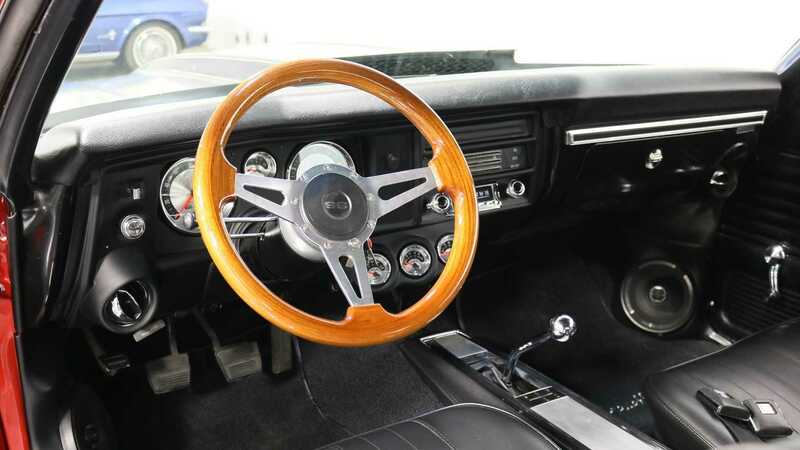 A chrome Hurst shifter with a cue ball knob ensures that your hand will never slip while rowing through the gears. 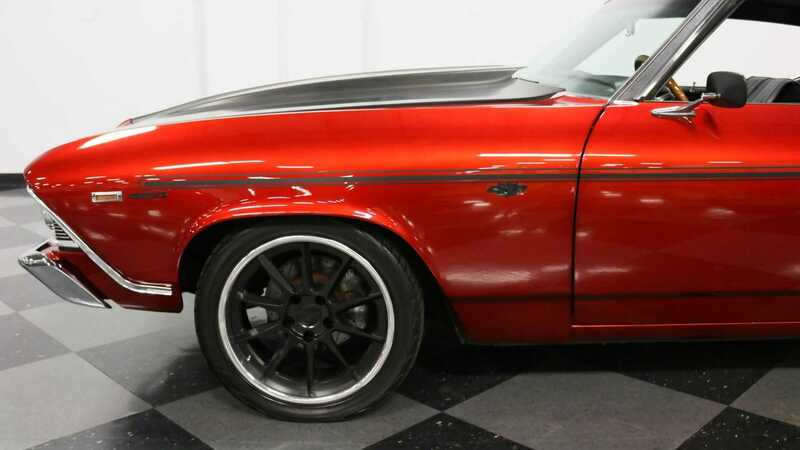 So, if you are currently looking for a tastefully modified muscle car from the late 1960s, then check out this 1969 Chevrolet Chevelle 454 with 1031 miles on the clock for sale at Streetside Classics for $64,995.